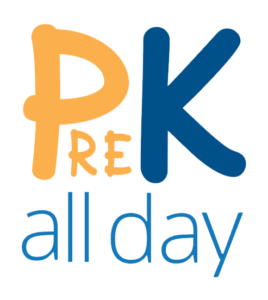 Florida’s Voluntary Prekindergarten (VPK) Program is designed to prepare four-year-olds for kindergarten and build the foundation for their educational success. All children who turn 4-years-old on or before September 1st and reside in Florida are eligible to attend a VPK program. Parents must provide proof of the child’s age and residency during registration. The program helps to ensure that all children are intellectually, emotionally, physically, and socially ready to enter school and ready to learn, fully recognizing the crucial role of parents as their child’s first teacher. How long does it take to receive the VPK certificate once I submit my application? Normal processing can take up to 10 business days to receive your VPK certificate. What would be considered an appropriate cause to dis-enroll a child? The following are examples of appropriate reasons for dis-enrolling your child: medical reasons, job transfer, and changing home address. If a parent chooses to not enroll their child in VPK will it present a problem when the child enters kindergarten? No, participation is completely voluntary. Many parents choose to provide school readiness activities at home. Does my child have to attend a Voluntary Prekindergarten program? No, participation is completely voluntary. Can children attend more than one VPK session? A child may only attend one state paid VPK session either during the school year or summer session. Can children cross county lines to participate in the VPK program? Yes, the law only requires the child to be a Florida resident. Parents/Guardians must register their children for VPK in the county that they are planning to attend in.Example: if the child resides in Pinellas County but would like to attend VPK in Pasco County, the parent must register for VPK through the Early Learning Coalition of Pasco and Hernando Counties, Inc.
Will there be an enrollment deadline? Enrollment is continuous but after a certain date in the school session enrollment may stop and then children will be considered for another session. How do I check the status of my online VPK application? All VPK online applications will be processed in the order they were submitted. Please allow time for the ELC staff to review your application and process it in order for you receive your certificate. If you have not received an email you should check your SPAM email as occasionally the VPK online emails are directed there. You can also log back into your account to see the status of your application. If then you are unable to locate any communication regarding your application you may call our VPK Online Specialists at 727-400-4411.
Who is eligible for the Voluntary Prekindergarten (VPK) Program? The child who is a Florida resident. What happens if a parent removes their child from the program for a vacation? Depending on the length of the vacation and the Providers’ attendance policy, the parent and child could lose their opportunity to participate in the VPK program. Parents must know this before they enroll their child and choose their VPK program accordingly. Can a parent move their child mid-session? Parents and guardians are strongly encouraged to carefully choose a program that best meets the needs of their child and family situation. A consistent and stable VPK experience will allow the best opportunity for the child to be successful in the program and future success in school. The Coalition can provide helpful information and tools to assist parents in making their decision. Parents and guardians may contact the CCR&R department to request information at 727-210-4211. Is this just a one-time program? The Voluntary Pre K program is the result of an amendment to the Constitution of Florida. Although the future may hold changes, for now the program is currently available. If I need care beyond the 3, 4, or 5 VPK hours will there be transportation available to take my child to another care setting? Can my child attend more than one session of VPK? No, a child may only attend one (1) session either the school year or the summer session. How many times a year will this program be offered? There are school year (fall) sessions which typically begin in August or September and a summer session which typically begins in May or June of each year. Most fall VPK Programs will begin in August of each year and summer programs will begin in May. Each provider is free to choose their own length of core instructional VPK day and the start and end dates of their program. Please refer to the individual Provider Profiles under the Provider Listing section of this web site for the exact start and end dates of each participating VPK provider. What schools will be offering the VPK Program? Various private preschools, family child care homes and the public school system have certified Voluntary Prekindergarten programs. 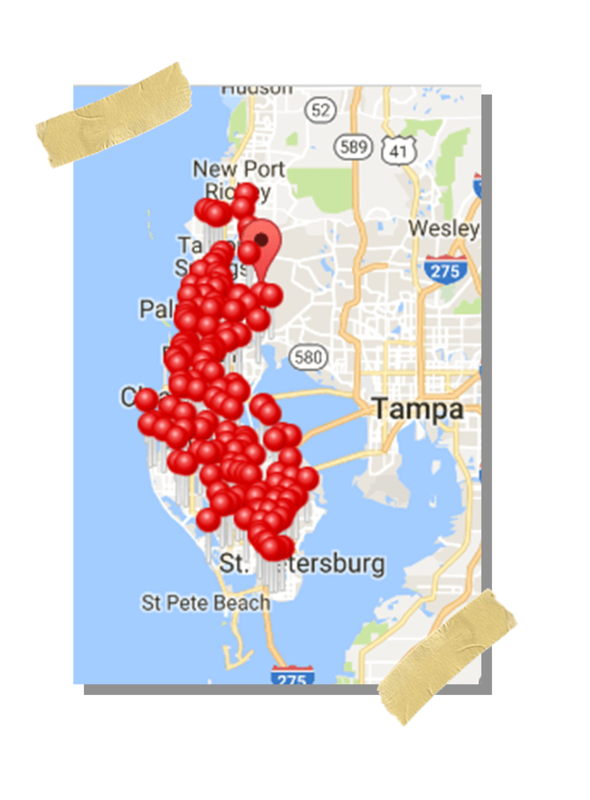 A listing of the certified VPK sites can be obtained on the Find a VPK Provider page of the Coalition’s website or by contacting the Child Care Resource and Referral at 727-210-4211. As new sites are certified, their names are added to the list. Parents may want to view the listing often as the site may change. What if there is no room in the Voluntary Prekindergarten classroom for my child? A class may have no more than 20 children in the classroom during the VPK program school year session; 12 children during the summer session and no less than 4 children during the summer and the school session. Once the VPK part of day ends, the less restrictive licensing regulation for class size and staff ratios can be followed. Will faith based providers be allowed to participate? Yes, faith based providers may participate in offering Voluntary Prekindergarten as long as they meet the basic requirements of staff, curriculum, and other quality indicators and parents are fully informed in advance of enrollment. How do parents choose a location for this program? There are two methods for a parent to choose a VPK program. First, the child care providers can and should market their programs to recruit parents. Second, if a parent needs assistance they may contact the Coalition’s Child Care Resource and Referral at 727-210-4211. When a child care provider is approved to provide VPK services they will be asked to provide a profile of their program. This profile will include as examples: the hours/days that the VPK program will be offered, the credentials of the staff, whether they provide extended day services, and the curriculum the preschool offers. Parents will then be responsible for enrolling their child in one of the certified VPK programs that still has openings. Parents can find these VPK provider profiles by searching the Coalition’s Find a VPK Provider page of the website. How do parents find a certified Voluntary Prekindergarten provider? Who will pay for those remaining hours? Parents are responsible for paying for any additional hours of care they require beyond the VPK day. If eligible (income eligible), parents may apply for School Readiness Scholarship School Readiness Scholarship to assist in the cost of extended day care through the Early Learning Coalition at 727-400-4411. Will four-year-old children still be eligible for scholarships from the Early Learning Coalition? Yes, qualified four-year-old children will still be eligible for scholarships from the Early Learning Coalition based on program requirements and availability of funding. Income eligible families who still need extended care for their children after the VPK day could access scholarships that will cover this part of their care. Can the preschool require registration fees or additional fees for field trips, etc.? You as a parent cannot be refused enrollment due to failure to pay registration or other fees for the core VPK day. How do I become a VPK Provider? Any new providers that wish to offer the VPK program during the program year should call Ana Pizarro at 727-400-4489 for further information and next steps.